Dominican newcomer Ysaunny Brito steals the limelight in an editorial entitled "Voodoo Child" lensed by photographer Eric Nehr for 10 Magazine's Fall/Winter 2013 issue. 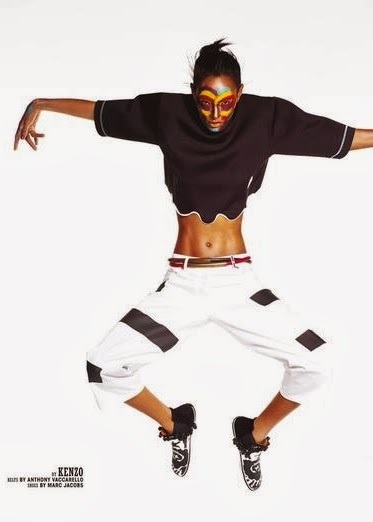 The eighteen year old San Isidro native looks nothing short of spectacular as she strikes a series of dynamic poses while decked out in pieces from the Spring/Summer 2014 collections of Alexander McQueen, Givenchy, DSquared 2, Balenciaga, and Hermés. The 178 cm beauty with long attenuated limbs delivers shot after shot of pristine imagery with her face and torso adorned with dramatic body paint. Modelling for just over a year since being discovered at an open casting call for her mother agency Ossygeno Models Management, Brito went onto place in the top 15 finalists of the Elite Model Look competition in 2012, and is represented by The Society Management in New York and Elite Model Management globally. Amongst the gazillion new faces omnipresent during the Spring/Summer 2014 collections, Brito found relevance on the Parisian runways that mattered most. With a concise show list which included appearances at Alexander McQueen, Christian Dior, Kenzo, Giambattista Valli, Christian Wijnants, and Louis Vuitton, Brito left fashion denizens hankering for more of her scintillating runway presence and adorable Bambi-like features. 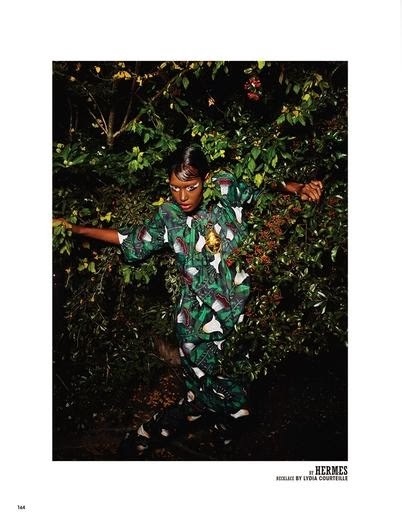 With a debut cover appearance for 10 Magazine and a photo shoot with Paolo Roversi in the bag, Brito is destined to be a major force during the Spring/Summer 2014 editorial stakes.